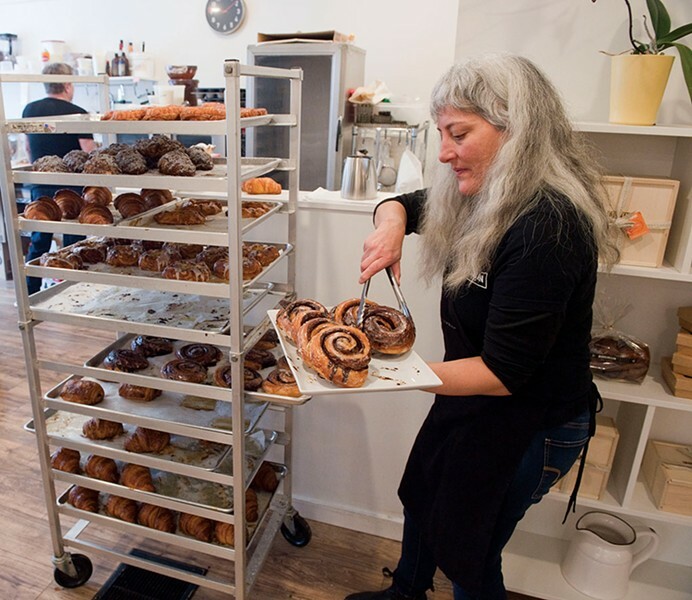 At first, Bohemian Bakery was all about bread. In 2003, Annie Bakst and Robert Hunt built a brick oven in the garage of their rural Calais home, making hearty wood-fired loaves for area co-ops. 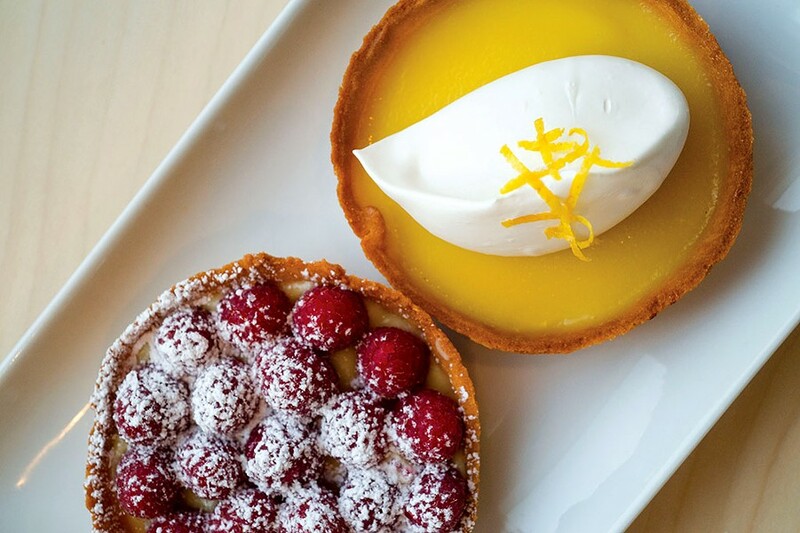 By 2010, pastries had entered the picture, and the pair began hosting weekly pop-ups. Every Sunday, like worshippers going to church, the faithful made the trek down dirt roads to line up outside the bakery's door. As they waited, locals would sneak peeks at the counter inside, hoping the crisp apple squares and heirloom tomato tarts — flaky dough with salted ricotta and sweet, multicolored cherry tomatoes — wouldn't run out before they had a chance to order. Over time, the crowds clamoring for sweet treats at the house became overwhelming. 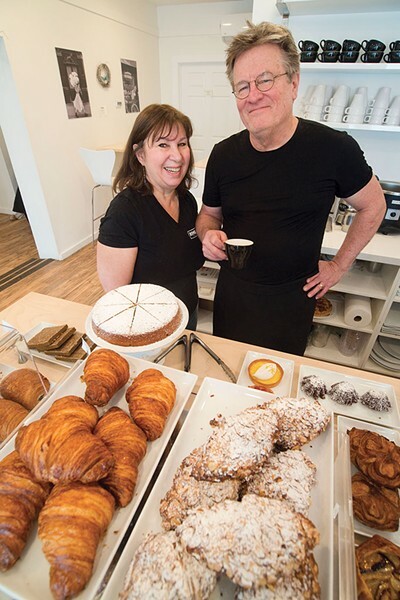 So, at the beginning of 2017, Hunt and Bakst opened a brick-and-mortar bakery on Barre Street in Montpelier. Now customers can get a custard Danish, crackly caramel kouign amann butter cake, or ham-and-cheese quiche every Wednesday through Sunday. Coffee, too: Hunt roasts his beans medium or dark, as he likes 'em, and offers classic preparations including an Americano, a cappuccino and a regular cup. There are no flavored syrups, no alternative milks. The bakery, decorated by Bakst, is similarly lovely in its simplicity. Edison bulbs in elegant fixtures hang from the ceiling. The walls are white; the tables are blond wood. The muted palette allows the colorful baked goods — such as tarts piled high with red or blue berries, or filled with sunny-yellow lemon curd — to be the stars of the show. Since laptops are banned here, making friends becomes part of the experience. Sitting at tables or standing in line — albeit a shorter one than when the bakery was an evanescent pop-up — farmers, legislators and college students alike follow Hunt and Bakst's lead, reaching out across generational, cultural and social lines to converse. As delicious as Bohemian's baked goods are, they're just crumbs in the end. But patrons getting to know each other in between bites — that's community. This article was originally published in 7 Nights: The Seven Days Guide to Vermont Restaurants & Bars in April 2018.